IVF is expensive, and you need to make sure you select the right doctor to maximise your chances of getting pregnant in your first IVF cycle. We all know that not all IVF clinics are created equal, and that success rates can vary widely from clinic to clinic. How can you make sure that the clinic you select is technically competent ? You only need to ask one question - Do you provide photos of IVF embryos ? All good clinics do this routinely and proactively. After all, the only tangible product an IVF clinic can deliver is embryos ! 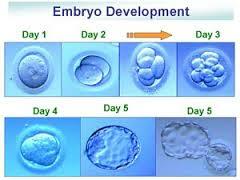 Once the embryos are transferred, we have no control over the biological implantation process. Seeing that your clinic has made good embryos for you can reassure you that you have received high quality medical care ! A picture is worth a thousand words - especially when it is one of your IVF embryos !